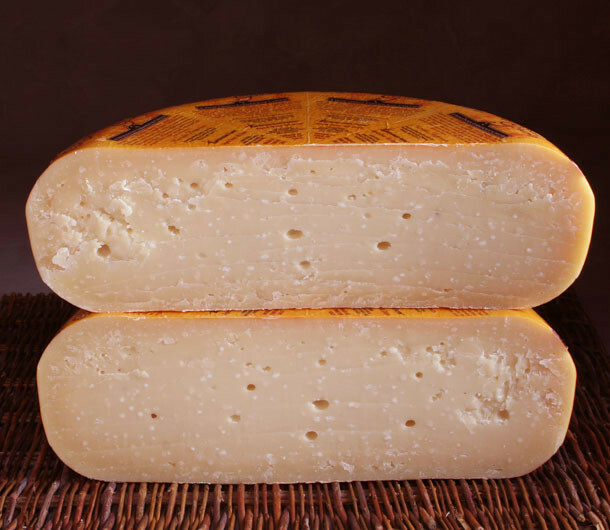 As close to candy as cheese can come with a carmel-sweet flavor, Marieke aged Gouda boasts a dense, buttery texture and a pleasant grassy aroma. Cheese maker Marieke Penterman’s Old World recipe is made from raw cows’ milk and brined for 60 hours. She then cures and ages it on Dutch pine planks for 6 to 9 months. Marieke Gouda is the star of Holland’s Family Cheese company in Thorp, Wisconsin. Dutch-born Marieke has made a cheese with deep roots in the Netherlands. It took home the top prize at the 2013 U.S. Championship Cheese contest, and is hailed today as a new American classic.